Yesterday I noticed that we had 2 apples that were about to go bad. 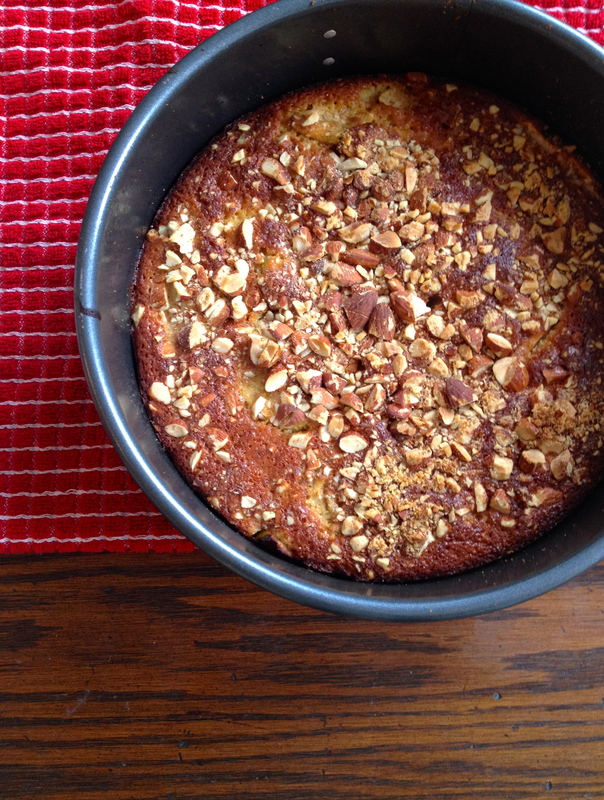 I hate wasting perfectly good fruit, so I did some recipe-hunting and found some inspiration for an apple cake. After a few tweaks and additions, I came up with this super tasty coffee cake, with just the right sweetness and spice. A perfect accompaniment to my morning pot of Barry’s Irish Breakfast Tea (the best black tea on earth). 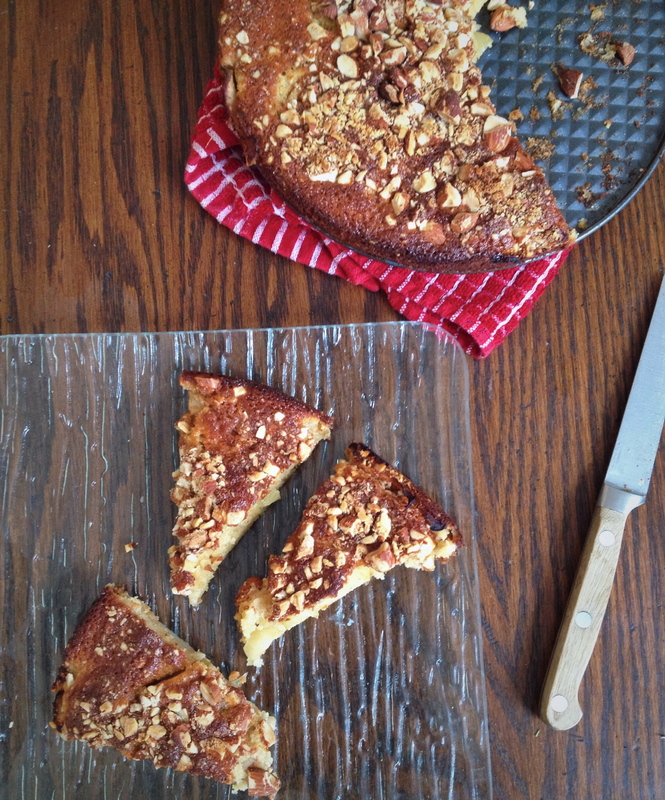 Coffee cake is pure joy! Toss sliced apples in cinnamon, sugar, and lemon juice. Set aside. In another bowl, cream together butter and brown sugar until smooth. Add eggs one at a time. Sift in half the flour and stir to combine. Then stir in the milk. Finally, add the rest of the flour, the baking powder, and the salt. Stir until just combined. Grease a spring-form pan or other cake pan. Spread about half the batter on the bottom of the pan, and cover with apples. 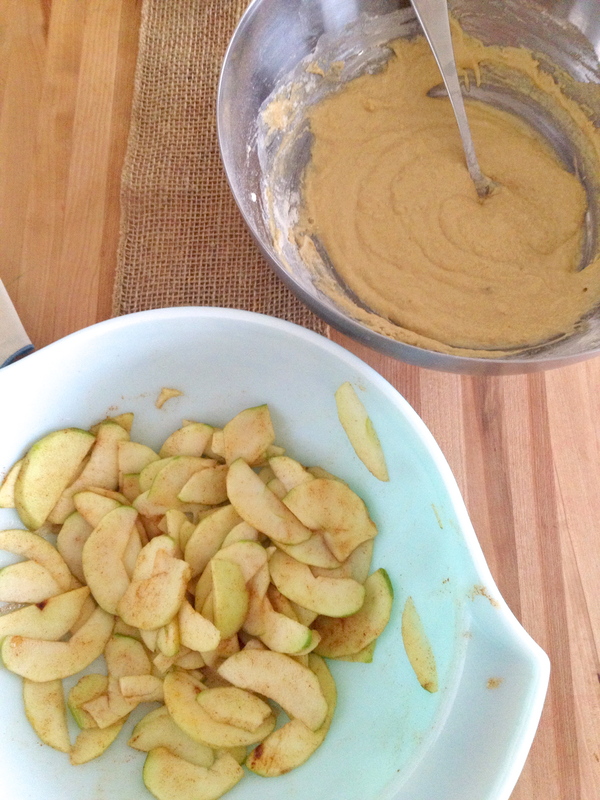 Then spread the remaining batter over the apples. Combine almonds, cinnamon, and ginger, and sprinkle evenly over the cake. Bake for about 40 minutes, until a toothpick comes out clean. I don’t blame you if you dig right in, but cooling it slightly means it will cut a little cleaner. Yum!